You selected the wave to ride, set the operational goals and built the perfect surfboard, the operational plan. So far, this was work for your grey cells. Now let’s go surfing and ride the wave! Let’s execute the plan. The goal chart is ready to steer you. The operational plan is simple, focused on the essentials and ready for execution. This is not surfing as usual. It’s the entire operational team surfing on one board. 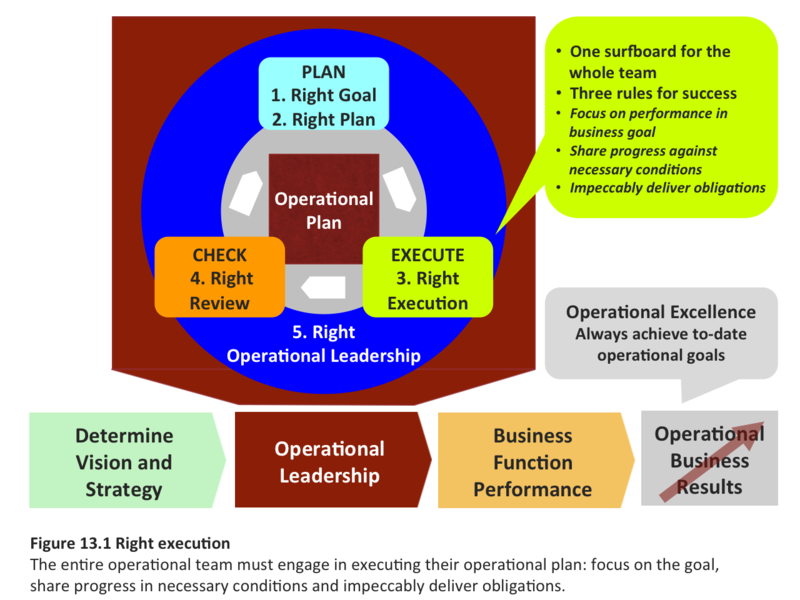 Everyone in the operational team must fulfill three tasks to ensure right execution of the plan.